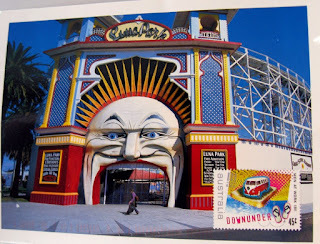 A day or two ago, my little postcard arrived all the way from Australia! Thanks for bringing a little piece of Australia to me, Ed...and Happy Valentine's Day! Hi Elizabeth - cute card! I hope you had a lovely V-day!